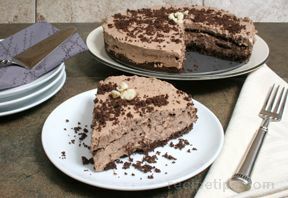 An absolutely decadent chocolate spin on the cheesecake. 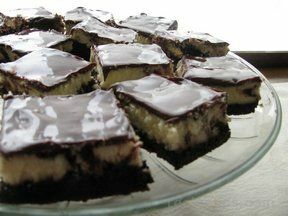 Combine 1 cup chocolate wafer crumbs and 1/4 cup (1/2 stick) butter or margarine. Press onto the bottom of a 9 inch spring form pan. 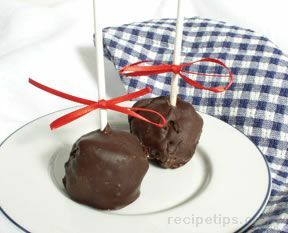 Place 1/2 cup Hershey's semi-sweet chocolate chips and 2 tsp. shortening (do not use butter, margarine, spread, or oil) in small microwave-safe bowl. Microwave on high for 30 seconds. If necessary, microwave an additional 15 seconds at a time, stirring after each heating, just until chips are melted. Prepare crust. Heat oven to 450 degrees. Beat cream cheese and sugar until blended. Add sour cream and vanilla; beat until blended. Beat in cocoa and flour. Add eggs, one at a time; beat just until blended and pour into crust. Bake 10 minutes. Reduce oven temperature to 250 degrees. Continue baking for 40 more minutes. Remove from oven to wire rack. With knife, loosen cake from the side of the pan. Prepare drizzle; drizzle over the top of the cheesecake. Refrigerate 4 to 6 hours, store covered in refrigerator.